If you have never received a loan to purchase something, you are certainly in the minority! Loans can be a great thing, but they can also get you into trouble. One of the keys to being financially successful is understanding when loans are a good solution for your situation. Loans are never a good idea if you can't afford to pay them back in the required time frame. 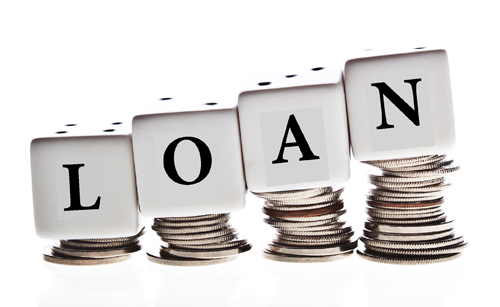 Let's explore what a loan is and find out some of the common ways to borrow money. A loan is when you receive money from a friend, bank or financial institution in exchange for future repayment of the principal, plus interest. The principal is the amount you borrowed, and the interest is the amount charged for receiving the loan. Since lenders are taking a risk that you may not repay the loan, they have to offset that risk by charging a fee - known as interest. Loans typically are secured or unsecured. A secured loan involves pledging an asset (such as a car, boat or house) as collateral for the loan. If the borrower defaults, or doesn't pay back the loan, the lender takes possession of the asset. An unsecured loan option is preferred, but not as common. If the borrower doesn't pay back the unsecured loan, the lender doesn't have the right to take anything in return. The two basic categories of consumer credit are open-end and closed-end credit. Open-end credit, better known as revolving credit, can be used repeatedly for purchases that will be paid back monthly, though paying the full amount due every month is not required. A student loan is a type of loan designed to help students pay for post-secondary education and the associated fees, such as tuition, books and supplies, and living expenses. It may differ from other types of loans in that the interest rate may be substantially lower and the repayment schedule may be deferred while the student is still in school. It also differs in many countries in the strict laws regulating renegotiating and bankruptcy. This article highlights the differences of the student loan system in several major countries.